The patented design of the BMS 4592 is a result of extensive dedicated research and development providing dramatic improvement in dynamic response, clarity and transparency. 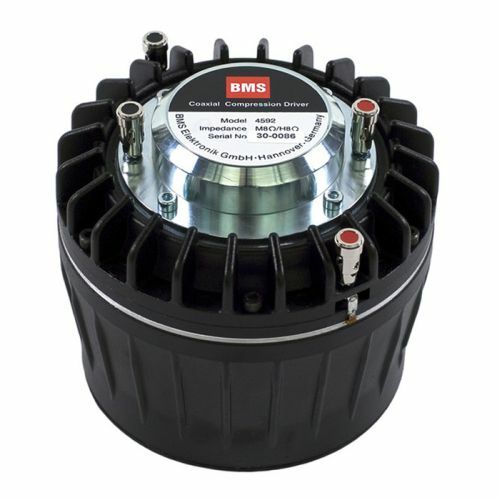 The BMS annular midrange diaphragmcovers the frequency range between 300 and 7000 Hz with a smooth, linear response. The large diaphragm excursion of max. + / - 0,8 mm results in high output and increased power handling up to 1300 W peak.